We feel so lucky to have a recipe crafted and posted just for us by Frankie from Frankie's Elegant Gourmet. Frankie has a knack for making delicious treats and presenting them with a flair. She is also amazingly nice and we love her for that. In her recipe, Frankie is using both the vanilla extract and the included vanilla beans - just what we intended when we started working with discerning foodies who appreciate the best of both. So, head on over to check out Frankie's Lágrima Valentine Vanilla Bean Caramels and enjoy the elegant gourmet. Oh, and you can make these when it isn't Valentine's Day. Yvonne of Tried and Tasty is at it again. 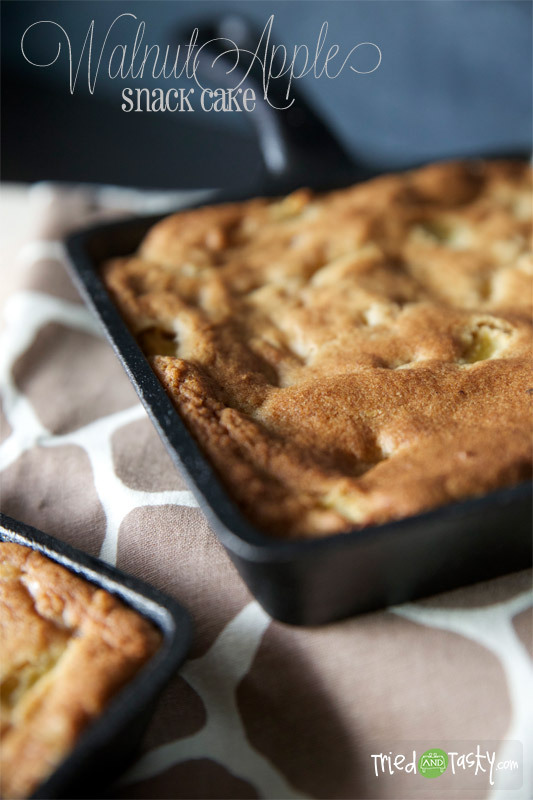 This time it is serious: Walnut Apple Snack Cake - meaning she is serious about her love for apples, cake, caramel, and ice cream. Everyone of her posts have a 'My 2 Cents' section. This one is quite flattering to Lágrima - *ahem*. Head on over to Tried and Tasty for some humor and apple passion. We just love her! We woke up to a delightful surprise this morning and learned of a new convert to vanilla broadly and Lágrima vanilla specifically. It is rare to find someone who doesn't like vanilla. Vanessa could be considered a 'hard sell'. The view here at Lágrima was that she just hadn't encountered the right vanilla in the right recipe. Long story short - Vanessa found that magical combination in her Sweet-Lab and told the world us as much with her post and recipe for Vanilla Cake with Black Tea Caramel. But don't take our word for it, read for yourself - Vanessa made our day, I hope she makes yours, too. We are happy to have her on board as a Lágrima vanilla fan.